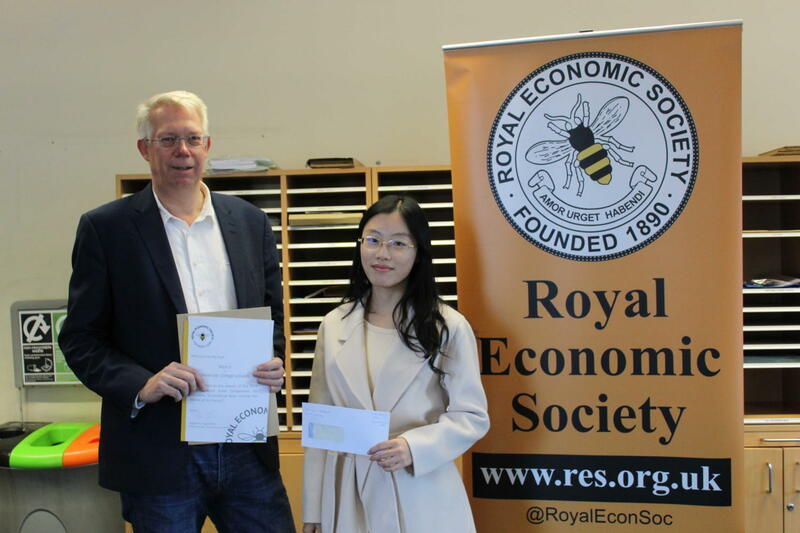 Alice Li from UCL has been named the winner of the Royal Economic Society’s Undergraduate Video Competition 2018. Her video exploring the concept of universal basic income has won our £1000 cash prize. Alice received her award during a presentation held within UCL's economics department, presented by joint managing editor of The Economic Journal Morten Ravn. The judges also selected two runners up - The Irrational Duo from Southampton University for their video “Are You Irrational?”, and team Supply and Demand from the University of St Andrews, whose video focused on the gender pay gap. This year marked our second annual Undergraduate Video Competition, which encourages university students from across the country to create their own 3-minute video to an economic concept to a general audience in an innovative and creative way. We had a superb response and would like to thank everybody who took the time to submit a video for the competition.